If you’re greeted every morning by a stabbing pain in your heel when you step out of bed, you’re probably suffering from plantar fasciitis. Plantar fasciitis, the inflammation of a band of tissue across the sole of your foot, can be painful and frustrating, but it can also be treated effectively and often without any invasive procedures. 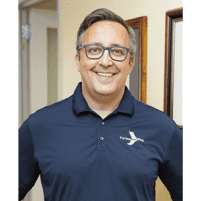 At the Podiatry Institute of Southern California, in Culver City, California, Dr. Albert Nejat helps you treat your inflammation and reduce your risk of experiencing it again in the future. Call the office today or make an appointment online. Plantar fasciitis is inflammation of the plantar fascia, a thick band of tissue that runs along the bottom of your foot and connects your toes to your heel. This inflammation is one of the most common causes of heel pain, and is typically at its worst in the morning when you first walk around. This pain often dissipates throughout the day, but it may return if you spend a lot of time standing, or when you first stand after sitting down. The direct cause of a case of plantar fasciitis is often unclear. The plantar fascia plays an important role in shock absorption in your feet, and when the stress on it becomes too great, tiny tears can appear, which eventually lead to pain and inflammation. Runners, ballet dancers, and people who participate in other sports or activities that put a lot of stress on the heel can also experience plantar fasciitis, often earlier in life than others. Plantar fasciitis can be painful, but most people make a full recovery with a few simple treatments. The first and most conservative approach is resting, icing your foot, and performing some stretches that Dr. Nejat can teach you. More supportive shoes and/or orthotics, can also make a big difference in easing the stress on your plantar fascia and help prevent reoccurrence. In more severe cases of inflammation, steroid injections directly into the plantar fascia can provide pain relief and help the tissue begin to repair itself. Dr. Nejat guides these injections with an ultrasound machine, delivering the medication as precisely as possible to the affected areas. Dr. Nejat is one of the city’s most qualified podiatrists, and has treated patients with plantar fasciitis for decades. Call the office today or make an appointment online.